Hivetalk provides organisations of every size and budget with a flexible base for communication and collaboration. The business ready intranet solution has been designed from the ground up to support corporate workflows and encourage open communication. Our Hivetalk customers include Welsh broadcaster, S4C, Leicestershire Partnership NHS Trust, Thurrock Council, the Association of Electoral Administrators and social impact business, First Ark. Connect’s Managing Director, Janet Symes said: “We have been helping organisations to boost productivity and improve collaboration through intranet deployment for over 15 years. With Hivetalk, we’re in a unique position to deliver a low-cost intranet that has the power of a bespoke product, at a fraction of the price. Each Hivetalk intranet we deliver works flawlessly across desktop, mobile and tablet, and is fully branded to our client’s requirements. You can opt for a WordPress intranet or an Umbraco intranet, and if you already have a WordPress or Umbraco website, there will be minimal learning involved for your team. 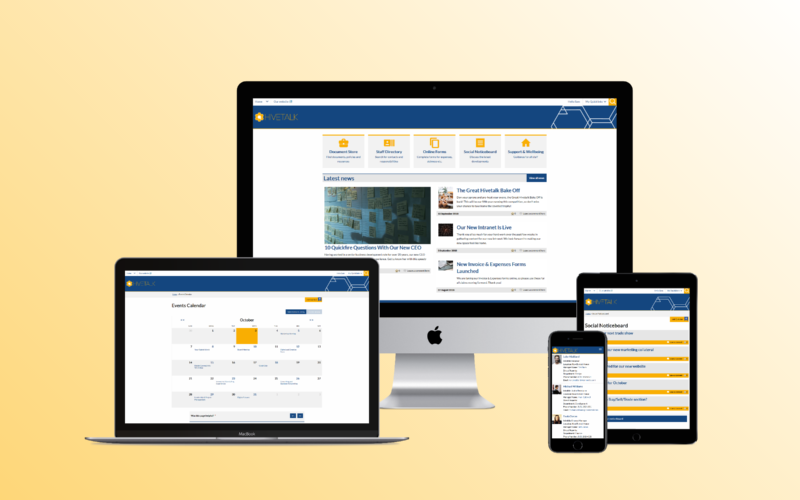 We can take your Hivetalk intranet from discovery to delivery in as little as four weeks – a timescale rarely seen for a company intranet solution of this calibre. The platform accommodates flexible hosting, allowing businesses to self-host or use our reliable servers. The solution is also available via G-Cloud 10, the government’s leading framework for cloud software and services. To learn more about Hivetalk, click here to view the product brochure.